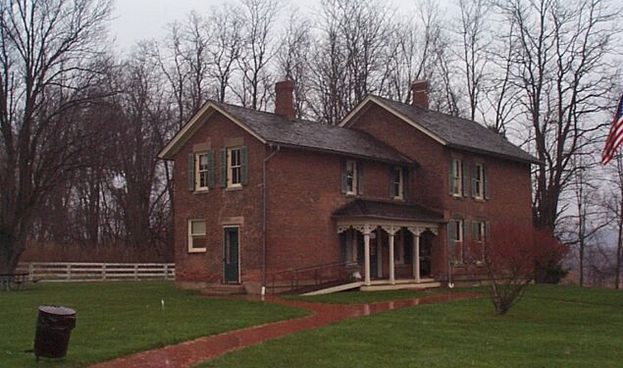 Why use Brecksville, OH Property Management company? Why use a Brecksville, OH Property Management professional property manager? Consider the following. You can feel secure as you use our Brecksville professional services which work as a system to protect you while maximizing your return on your property investment. Owner clients have reduced risk with our leasing and tenant guarantees as well as our easy out agreement. Save money and get your house leased quickly with our professional videos, pictures and descriptions being exposed on 100s of websites and way more. Our 7 point screening process gives owners the best possible chance of getting a great tenant. Rely on our experience to most efficiently prepare your house for rent and select an ideal rental rate. Landlords can rest easy, and get an uninterrupted night’s sleep, knowing our 24 x 7 take that midnight call and dispatch help as necessary. Be in the know and head off potential problems before with exhaustive property walk through video reports. We handle all bothersome collection and emotionally draining collections calls so focus on the parts of your life you actually enjoy. No tax worries this year when you prepare your taxes because all of the reports will be neatly delivered with your 1099. You have the option to lease, rent to own and / or sell your home, simultaneously, if you desire. You must obtain a certificate of occupancy prior to a person occupying a rental. Application for a certificate of occupancy shall be made separately for each rental unit by supplying necessary information to determine compliance with applicable laws, ordinances, rules and regulations for the existing use or occupancy or the intended use or occupancy on forms supplied by the Building Commissioner. The required information to obtain this certificate are: the name, address and telephone number of the owner of the property; the name, address and telephone number of the resident agent of the property if one is required; the address of the property and the number of rental units contained within the property; the current name, address, business and/or home telephone number of the persons who, since the last application, have been occupying each rental unit, and the address or other identification of the rental unit that they occupy; and the name, address, and telephone number of the building superintendent, janitor or caretaker, or the person who is responsible for the maintenance of the property. A certificate of occupancy is issued after an interior and exterior inspection are completed. The certificate of occupancy is not valid past December 31st of the fifth calendar year subsequent to its issuance or upon the rental or re-rental of the rental unit which occurs at least two but less than five years after its issuance whichever event occurs first. Every application for occupancy or renewal requires a $25.00 nonrefundable fee. An application for renewal of a certificate of occupancy must be submitted to the Building Commissioner no earlier than 30 days prior to its expiration date and no later than its expiration date. Frequency of inspections depends upon the amount of complaints received or upon reasonable suspicion by the Building Commissioner. If the owner of the rental property is not a resident of Cuyahoga County, the owner must provide a name, address, and telephone number of someone who is a resident of Cuyahoga County for the purpose of receiving notices of inspection, order, etc. The bill will be sent to the account holder and if there is another sub account the bill will also be sent to that account, you cannot request multiple bills to be sent out. The Property Management Agreement is sufficient enough to allow us to start service or change an existing account. Notes: City of Brecksville does not supply utilities, City of Cleveland does. Notes: Utility can be in either landlord or tenant’s name. Security deposit will vary upon predicted usage on property and a credit check will be run. There is only need for proof of residency when the person owes money or has continuously been late on paying the bill. A copy of the bill can only be sent to the account holder. Security deposit will be refunded after one year of not having a late payment or if management discontinues the service prior to that one year. A Property Management Agreement is sufficient for any change on the account. The billing for this company can very from city to city. For example, every 14 days, every 30 days, every 17 days. You have to check on each property what the billing may be. Brecksville, Ohio is located in the northeastern region of Cleveland. According to the 2010 Census, it contains a population of almost 14,000 people. Brecksville is known for its wooded hills and ravines. Its beautiful nature and the vibe it gives off attracts many people. The are a lot of things to do including visiting the Metro Parks which are located next to most of the neighborhoods. Within the metroparks are many events and activities for all ages. The zip code is 44141 and the area code is 440.